From:Owaka Museum and Catlins Information Centre Wahi Kahuika - the Meeting Place – a rest on your journey. 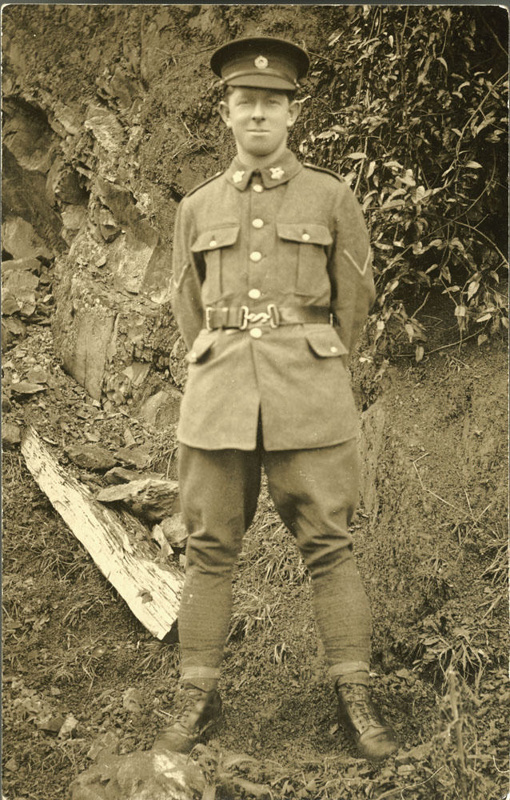 About this objectPhotograph; a black and white photograph of a Thomas George Wilkie Henderson, in full World War One uniform. Thomas, son of David and Ellen Henderson, died September 1919. The original photograph has been digitised. A digital image and copy print are available for research access. Credit LineFrom the collection of Owaka Museum Wahi Kahuika The Meeting Place "a rest on your journey"